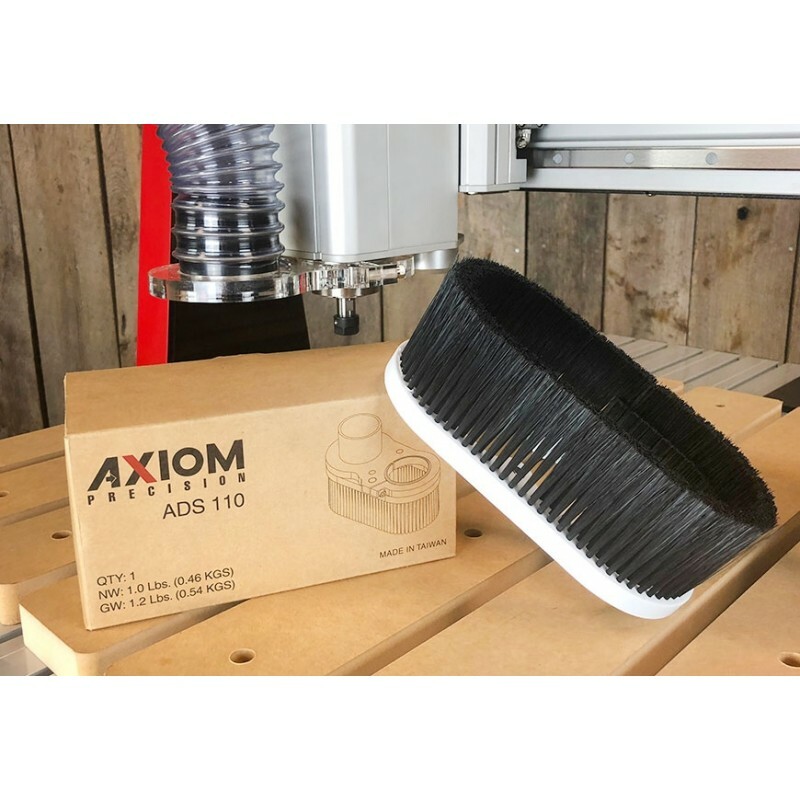 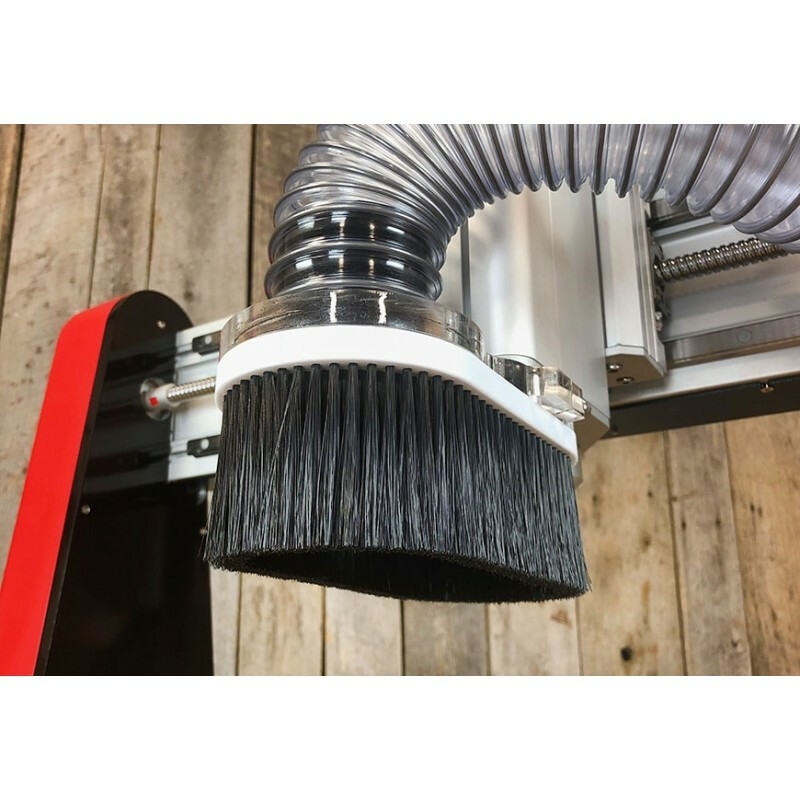 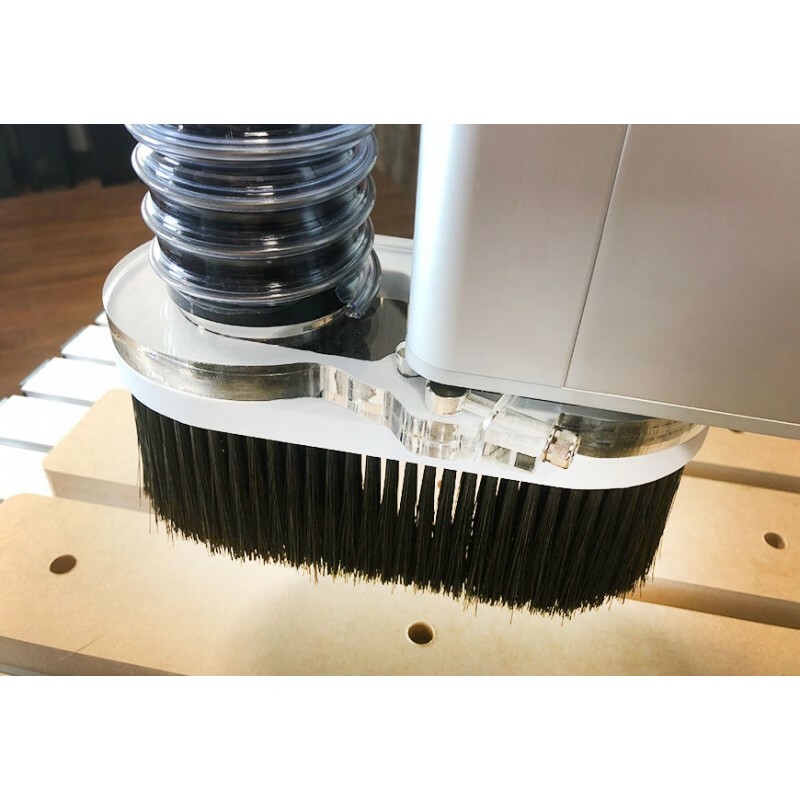 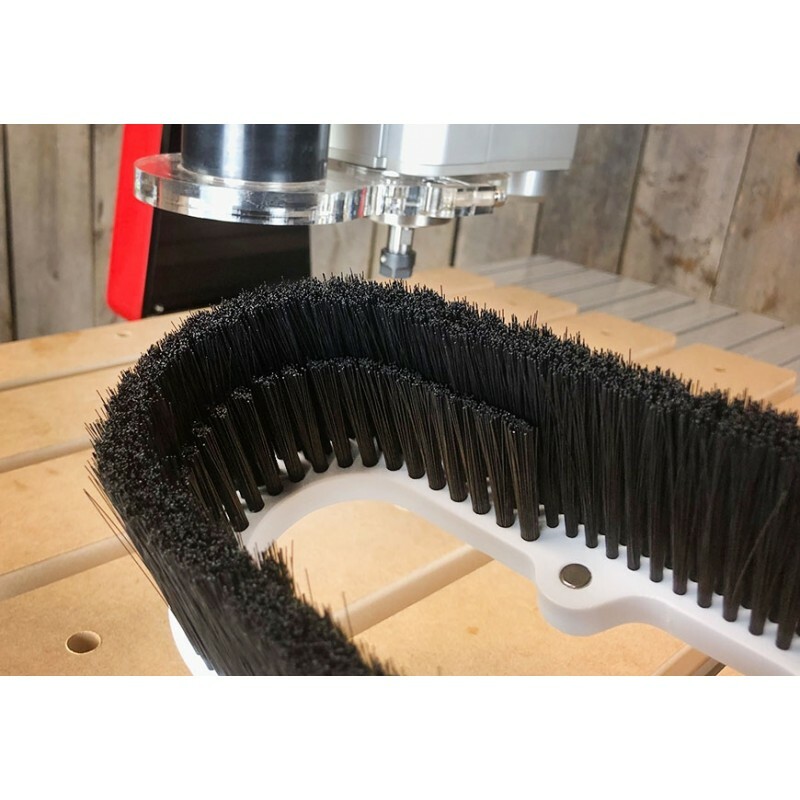 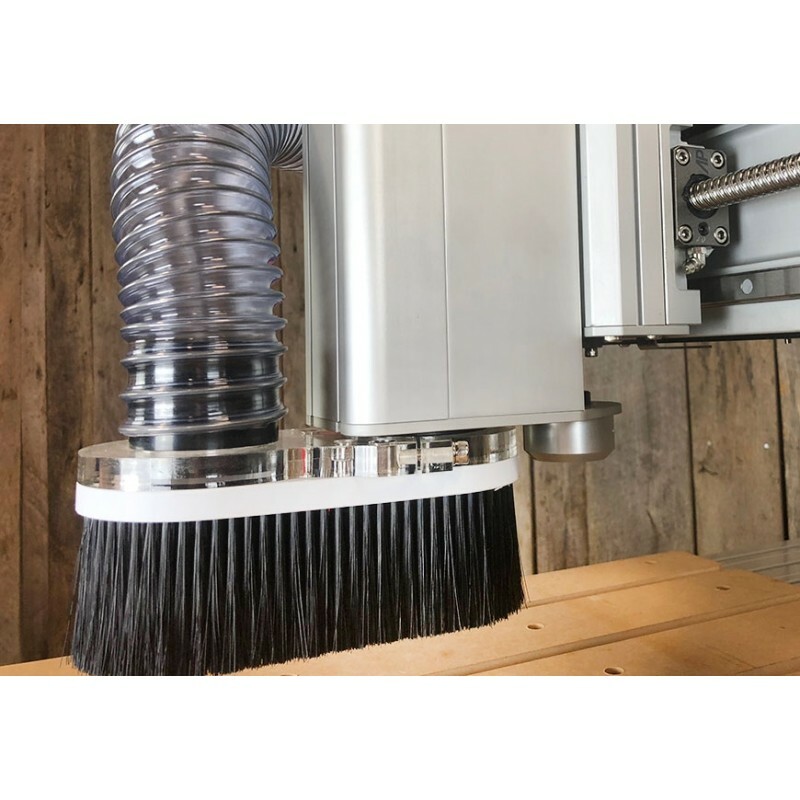 The Axiom Dust shoe provides an effective dust extraction solution for your new Axiom i2R CNC router. 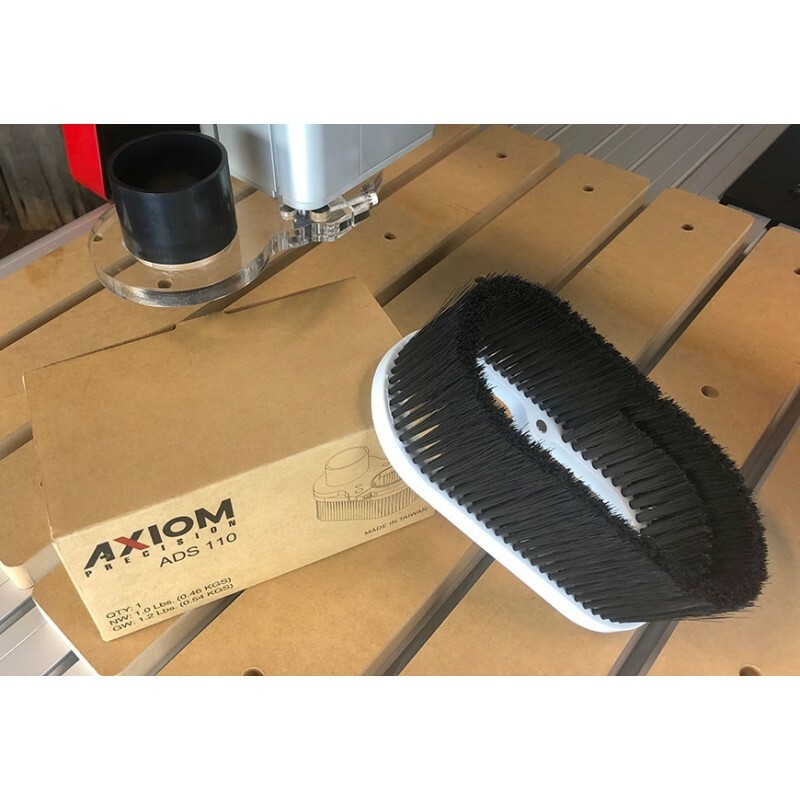 Our most popular accessory, the Axiom Dust Shoe provides a nearly dust-free routing environment. 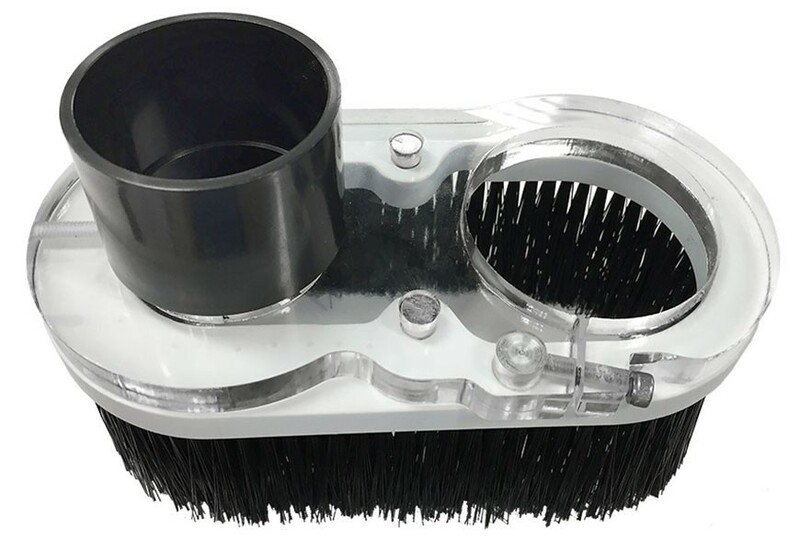 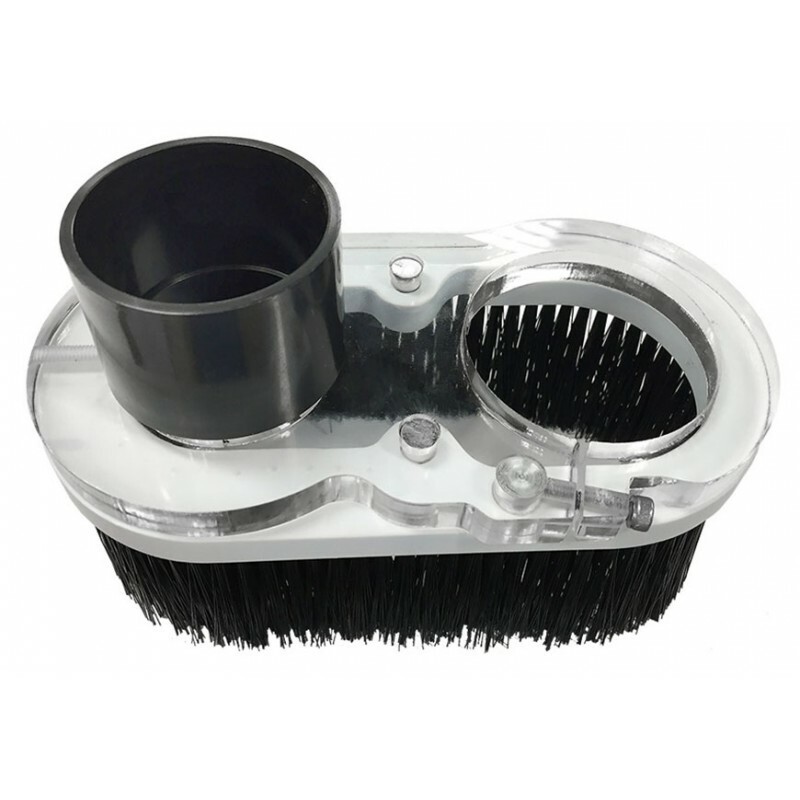 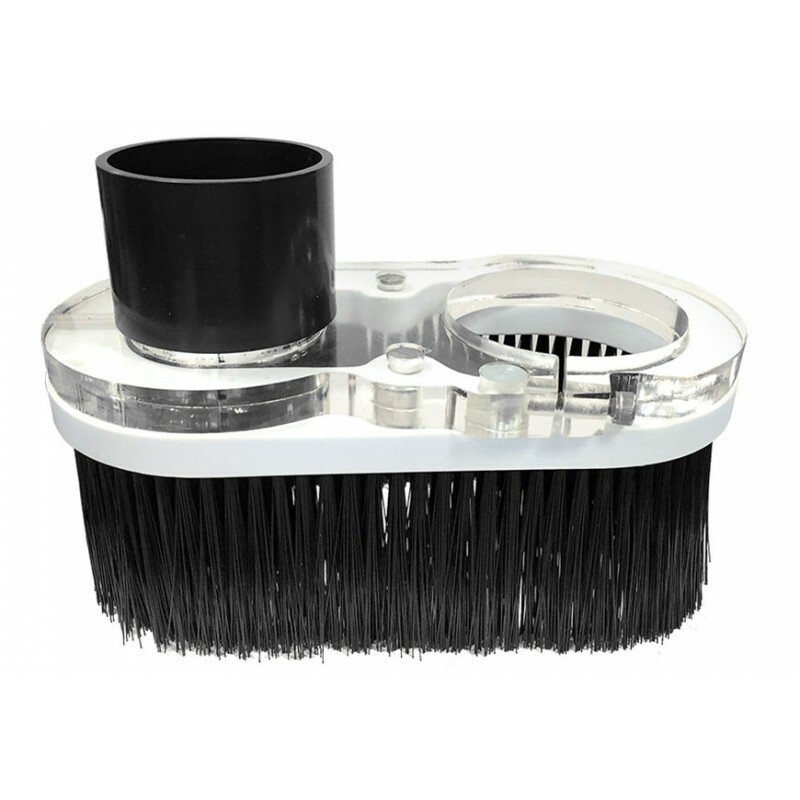 Rare-earth magnet closure allows quick removal of the brush head to provide spindle access.